While the Iraqi military forces are pushing fighters of self-proclaimed Islamic State out of Mosul, their last stronghold, Foreign Ministers from 68 countries met yesterday in Washington to discuss next steps in defeating the militant group. They also discussed ‘post ISIS’ scenarios such as how to rebuild Mosul, as refugees start trickling back to their home villages. 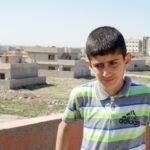 Not far from Mosul, in the village of Karamles, 12-year-old Noeh returns to the home his family fled from in 2014. 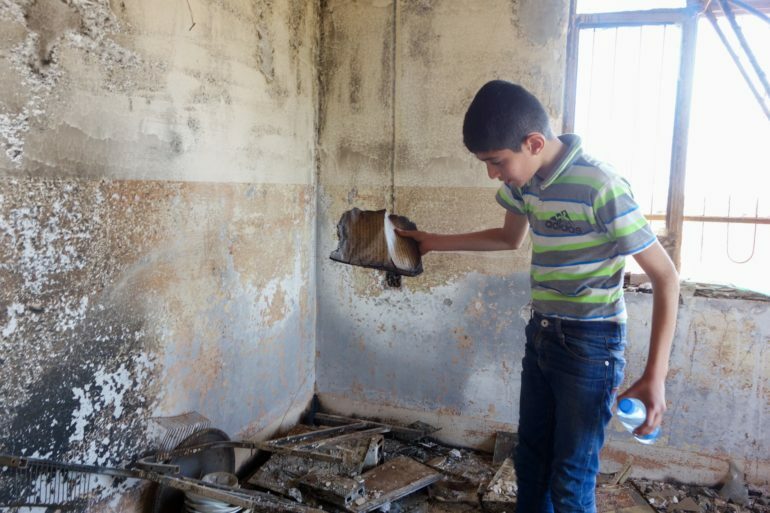 He finds the house’s interior completely burned out – only the walls, ceiling and roof survived the heat. The fighters of Islamic State (ISIS) left a trail of destruction when they withdrew from the village at the end of October 2016. Besides Noeh’s home, 445 other houses were burned out – but some would say these families were lucky compared to the 97 that saw their houses completely destroyed. It’s a depressing walk through the dust and ashes of what’s left of their property. Everything is affected by the thick smoke that must have filled the house on the day IS fighters fled from the approaching Iraqi troops. Noeh walks around, picks up some stuff, turns things over with his shoes. Under the window sit the remnants of his bed. The metal frame even bowed in the heat of the flames. Then Noeh discovers several marbles “My marbles! I had many of them.” The discovery encourages him to eagerly search for more. Alongside one wall of his room, he makes space on the dirty floor for his treasure. Soon he has tens of small marbles and some bigger ones. He smiles. One can only guess what he is thinking about. Maybe of those happier times before IS not only filled the headlines, but also walked into his beautiful village, so they had to flee for their lives. The day that he played marbles with his friends? After some time searching, he is satisfied. He has enough now to start playing again. He walks into another room. “That was our computer,” he points at some pieces of metal, the only parts that survived the fire. Noeh finds a book. “My dad’s,” he says as he picks up the paper. Only the heart of the book survived. He drops it again, dust and ashes fly up. For almost three years now, Noeh and his family have lived as displaced people in Erbil. Here the Karamles group mostly stayed together while receiving support from NGOs and faith communities. Not everyone however feels the same way about the possibility of going back. 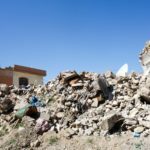 Long before the hot summer of 2014, when IS strove to wipe out every remaining Christian vestige from those ancient lands, Iraqi Christians have seen the country they called home turning increasingly more hostile towards them. Iraq’s Christian presence has been rapidly declining in recent decades. In the early 1990s, one and a half million Christians reportedly lived in the country. Today, at most 250,000 are thought to still be living there, half of them internally displaced. While they contemplate whether to return or not, some will look forward to it, while others are not sure that they ever will be safe again in Iraq. Noeh’s family home still stands. A lot of the other homes have been destroyed completely.